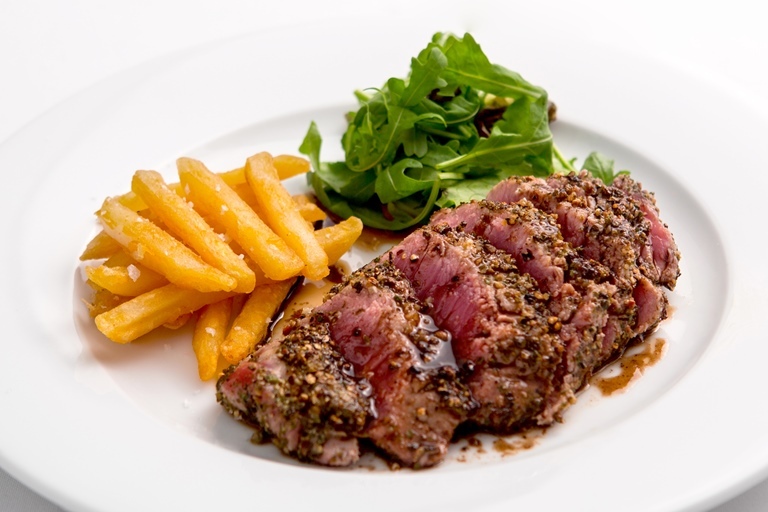 Both black and white peppercorns are used in Bryan Webb's version of steak au poivre. This French bistro favourite is an astonishingly speedy dish to prepare when you have good quality meat stock or demi-glace to hand. Serve whatever accompaniments you like – homemade chips and a crisp green salad are ideal with steak recipes.